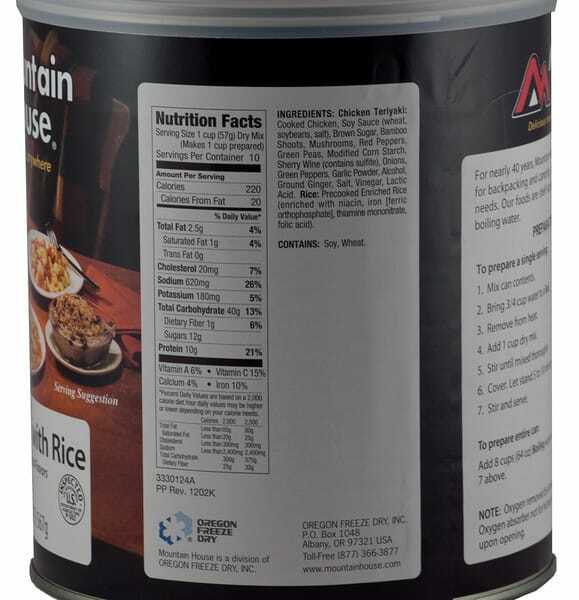 Chicken teriyaki with rice from Mountain House is a great tasting meal that you’ll enjoy, no matter when you eat it. Designed to last 25+ years on the shelf, this food still tastes great when you make it. It has a sweet sauce covering the high quality chicken and rice, which makes this a popular dish for both kids and adults. 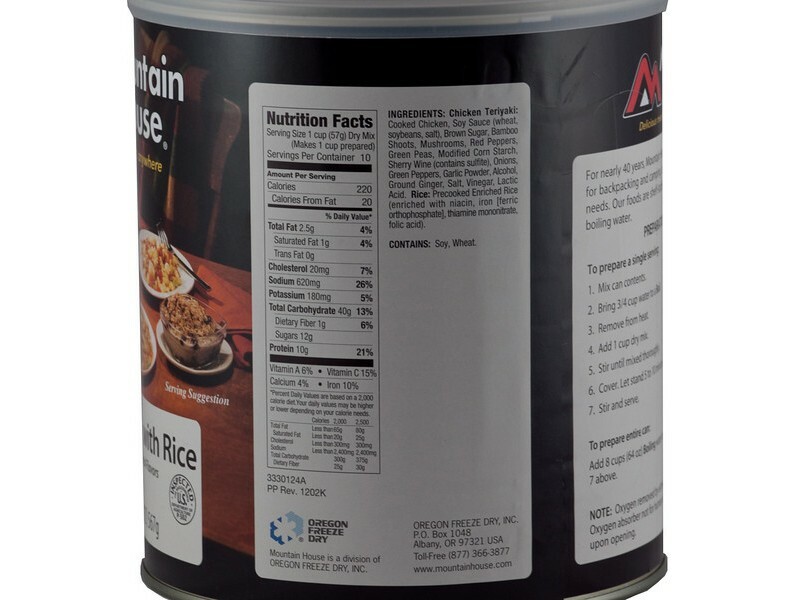 The convenient #10 size cans are easily stackable, and easy to open to gain access to the food. 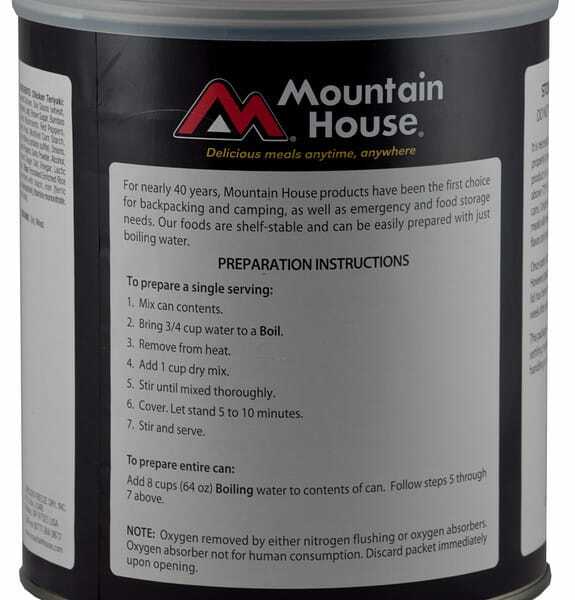 Stock up on yours today so you have the food you need in the event of any type of future emergency. 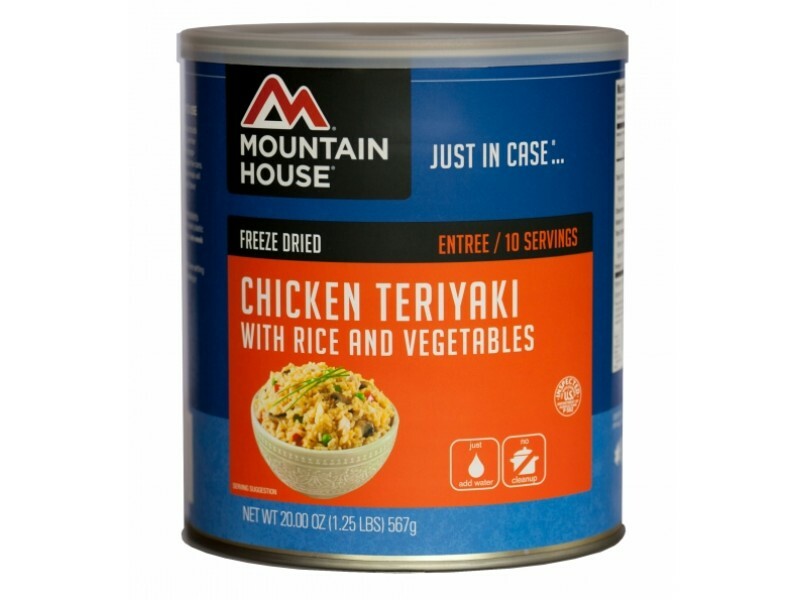 Each can of chicken teriyaki with rice from Mountain House will provide you with ten servings, each of them being one cup in size. This is more than enough food to feed your entire family, and in most cases it will provide multiple meals. Preparing this dish is quick and easy, requiring that you just take out the desired amount and add in hot water. The water will quickly heat up the food so it is ready to be enjoyed in just minutes. 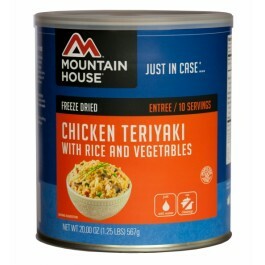 While designed for emergency food storage systems, this chicken teriyaki with rice tastes good enough to eat any time. 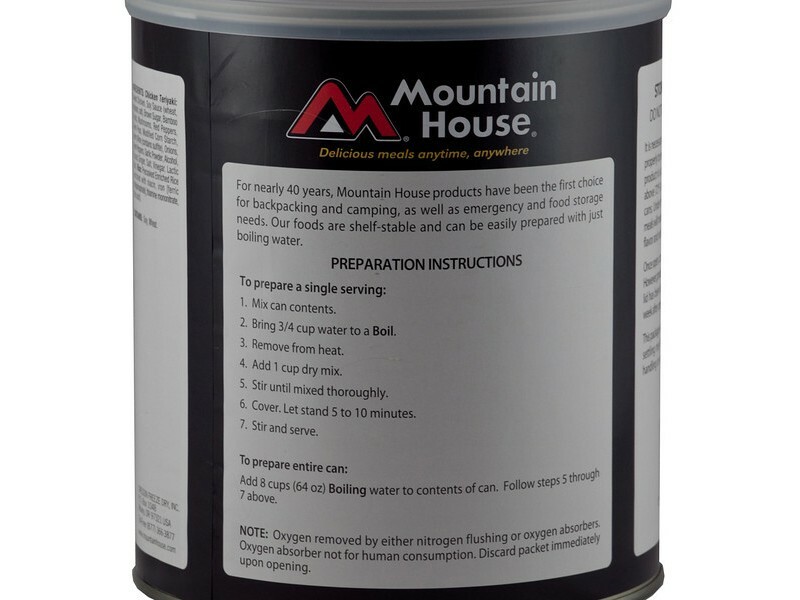 Many people will bring a can along with them when going out camping or hiking in the wild, just in case they need something to eat. This is a great way to ensure you don’t run out of food while you’re out. Of course, you can also just store the food in your disaster stockpile so it is ready in the event of any type of emergency. Purchase yours today so you’ll be ready for whatever the future holds for you.